Guards of the Turkish President Tayyip Erdogan reportedly tortured a lawyer for two hours for asking the reason of a roadblock. The police had halted the traffic in a busy street of Istanbul during the wedding ceremony of the children of two prominent families from Erdogan’s inner circle. 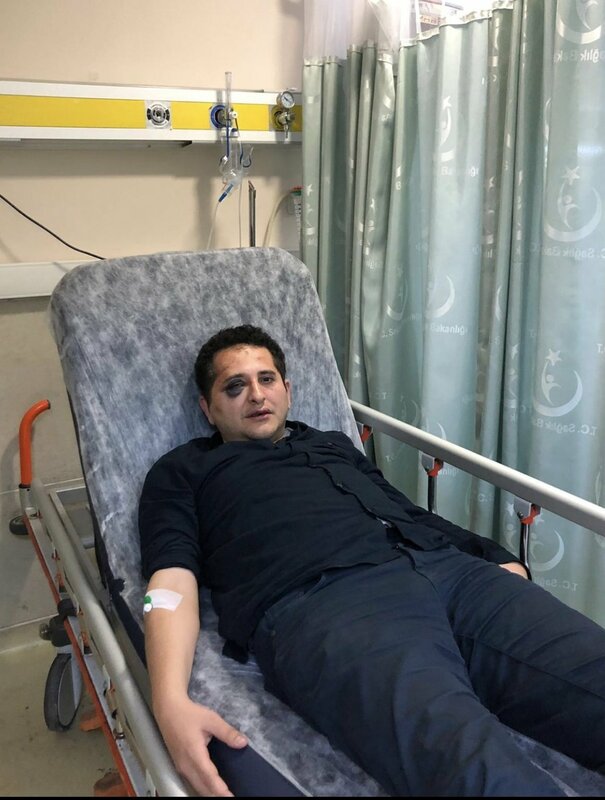 According to a report from Can Bursali of Arti Gercek, Ciragan Street was closed to traffic during the wedding, and when a lawyer passing by asked the police why the road was closed, presidential guards began to beat and threaten him. The lawyer named Sertug Surenoglu was reportedly beaten in the car for two hours, handcuffed and blindfolded and was later handed over to the police by the presidential guards. Furthermore, presidential guards prepared an official statement regarding Surenoglu, claiming that he insulted the president. The lawyer alleges that he signed the document under duress. The wedding was between Yelda Demiroren, the daughter of Yildirim Demiroren of Demiroren Holding, and Kalyon Group Vice Chairman of the Board Haluk Kalyoncu. The two families who own some of the most followed tabloid newspapers such as Posta and private TV channels in Turkey such as ATV and Kanal D are also known for being very close to president Erdogan. Istanbul Bar Association president Mehmet Durakoglu said the association will be at the side of Surenoglu during his time at the hospital, and during the court process. He added that law enforcement officials committed a crime of torture. Surenoglu, who was detained overnight was sent to court on Sunday for insulting the president. In his statement to the prosecutor’s office, Surenoglu said he did not know that president Erdoğan was attending the wedding. The presidential guards had previously attacked pro-Kurdish protesters during Erdogan’s visit to Washington in 2017. American legal authorities opened a case against the guards and they will be arrested if they set foot on American soil. In another incident, in 2016, video footage circulated on social media displaying Erdogan’s niece, who is the head of the presidential guards, threatening some motorists in Istanbul.